The eight participants of the Nanyang-Waseda Double MBA Program take their first two trimesters on the NTU campus together with the full-time Nanyang batch. Upon completing trimester two, the Waseda students head off to complete the third trimester in Tokyo, Japan, at Waseda University while the rest of the full-time cohort will complete their coursework at Nanyang. This year, Double MBA participants come from a number of countries including Japan, South Korea, America, the Philippines, and Singapore. 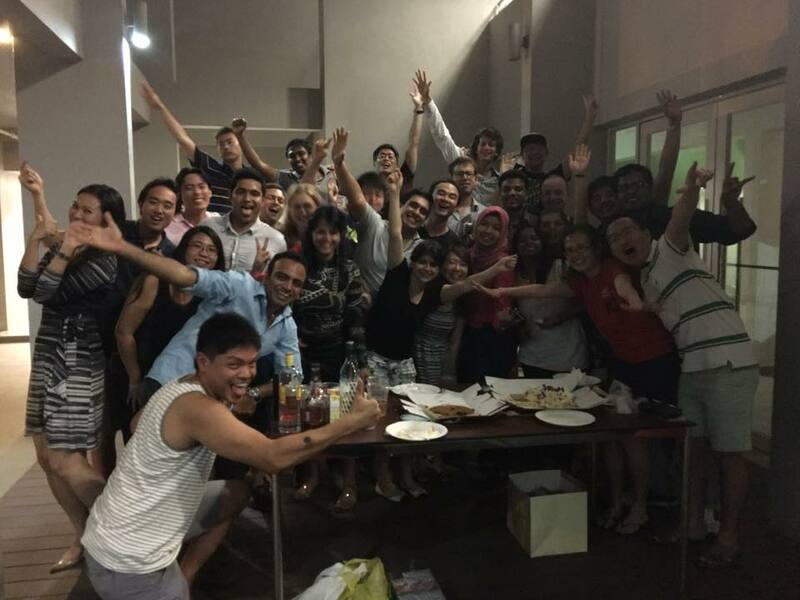 Many Double MBA students wanted to return home to see their families before the start of the Waseda coursework, so an early farewell party was set for February 17th. As an exhausting Ultimate frisbee game has been a staple of stress relief for many, everyone started off the day with a quick match in the intense Singapore heat. In the evening, a huge barbecue with plenty of drinks and food to go around was hosted on the ground floor just outside of the Graduate Hall buildings. 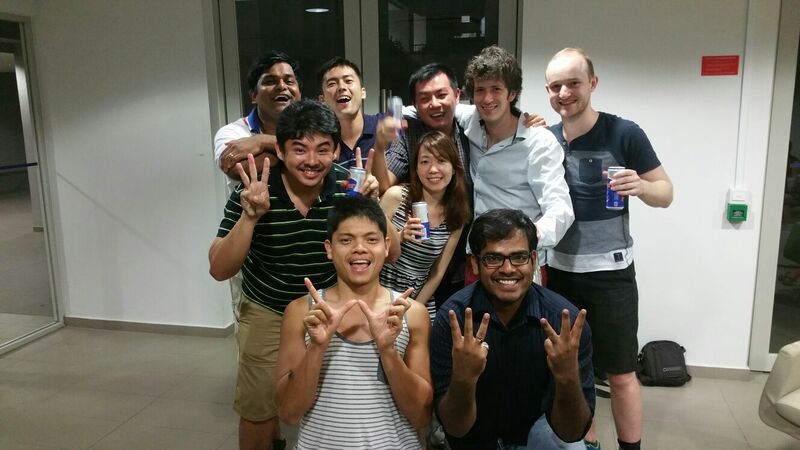 Most of the MBA students and staff were in attendance and spent time reminiscing over the past eight months. 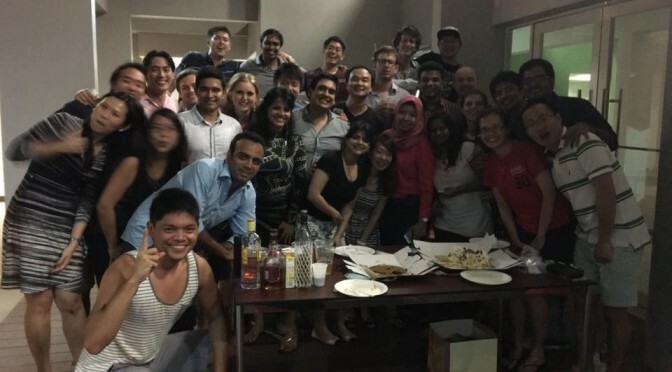 After everyone had plenty of food, Professor Nilanjan Sen, the Associate Dean of Nanyang Business School, and Sancho Causay, a member of the Nanyang-Waseda Double MBA cohort, gave speeches and cut the various farewell cakes to close out the night. Many chose to stay around for an afterparty, the last chance to be together as a single student body before the Double MBAs begin to head off for Tokyo. Having made enough memories to last a lifetime in just the past eight months, it’s safe to say that the Double MBA students will be missed. The cohort has become like family through fun times, the academic rigor and stress, and the mere time spent together, so everyone is sure to meet again in the future.